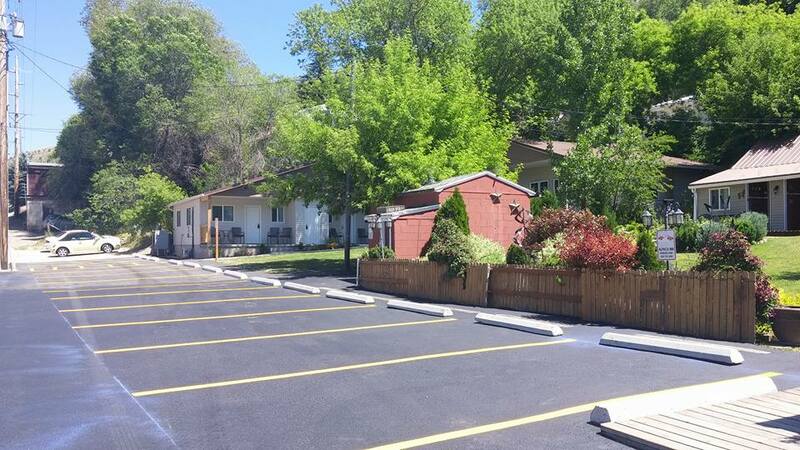 4 New One Bedroom Units! One is (ADA) handicap approved! Newly constructed One Bedroom units (Rooms 9, 10, and 12) - sleep 6. Private bedroom with Queen bed, Queen bed and an Easy Slide Futon in living room area. Table and chairs, 40" Flat Screen TV with DVD player (we have loads of DVD's to choose from) Free Wi-Fi! 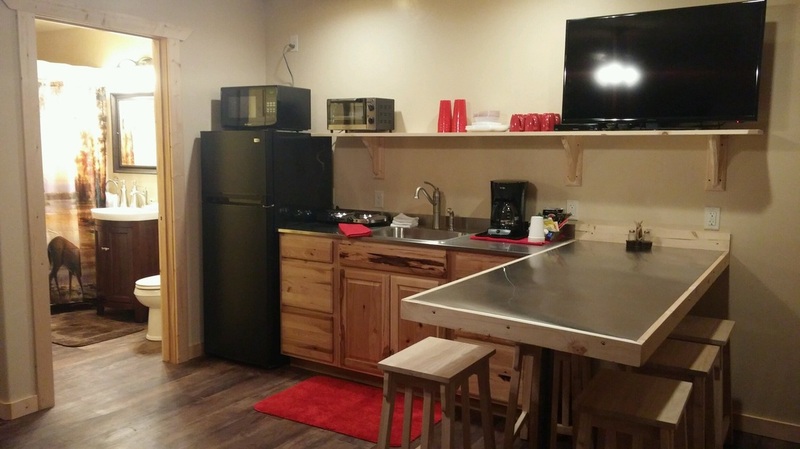 Fully stocked kitchenette with large refrigerator, microwave, toaster oven, two burner stove, Hot Beverage Center - coffee, hot chocolate and a variety of teas, dishes, pots pans, cups, silver, mixing bowls etc. (You might want to bring paper plates etc so you have easier clean up. You are on vacation after all! : ). 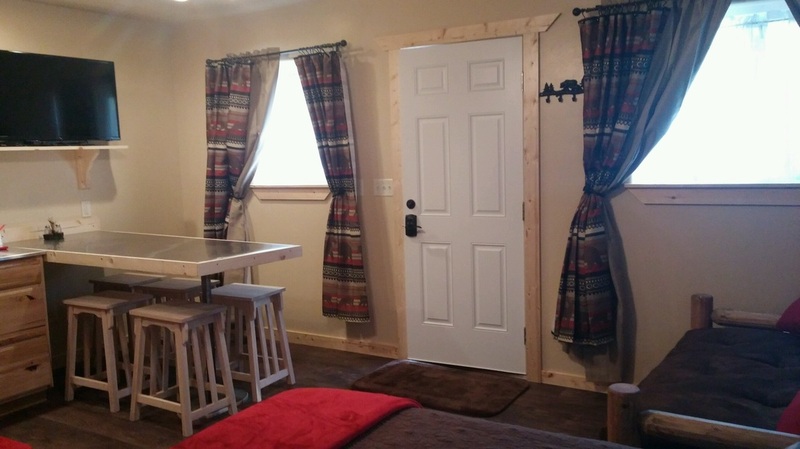 Bathroom with shower (no tub), shampoo, conditioner, body lotion, hair dryer, iron, alarm clock, extra blankets and pillows, table and chairs, ceiling fans, room heaters, air-condition. Leave it as you found it or extra cleaning charges will apply. 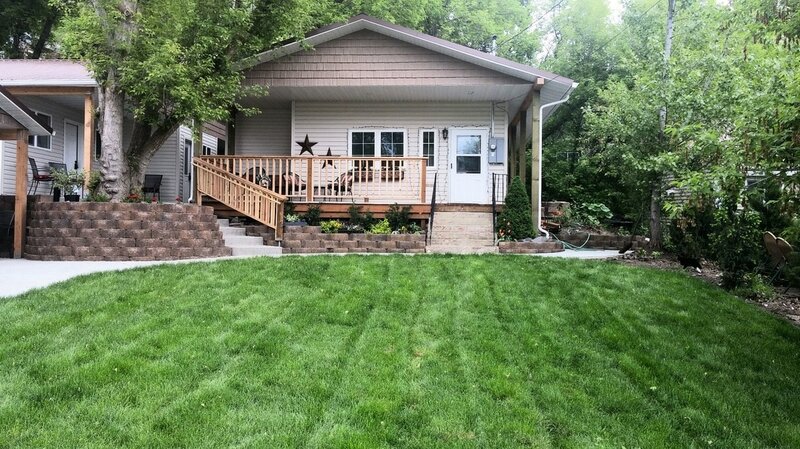 Semi private patios with table and chairs. Room #11 is the same as above minus the wall to divide the private bedroom. 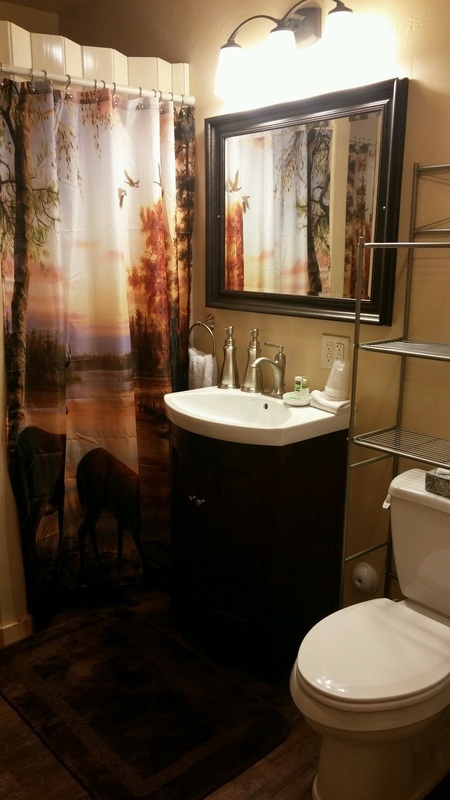 It is one large open room with the above, plus a larger bathroom -Nice Big Open Handicap room! 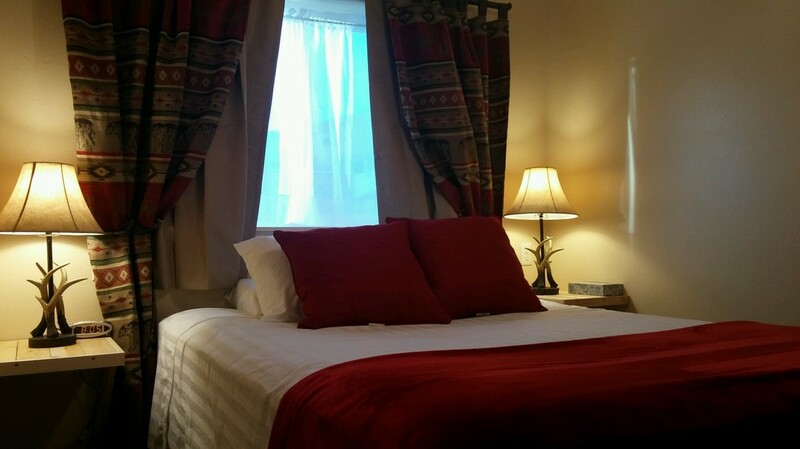 @ $179 Winter (Two night minimum) Summer $189 weekdays $209 weekends (Two night minimum) Holiday rate $219 More pictures on our facebook page "Alpaca Inn"